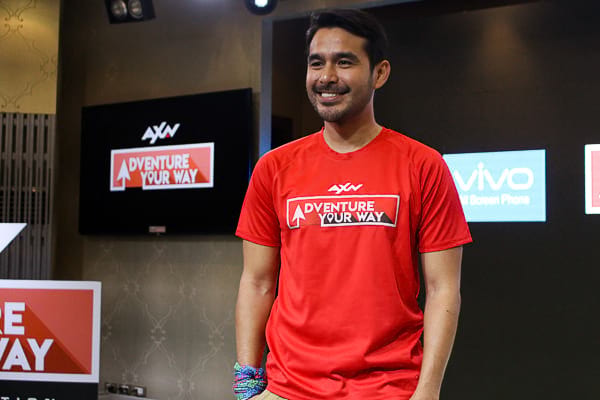 Alfonso Tomas "Atom" Pagaduan Araullo (born October 19, 1982) is a Filipino model, TV presenter, triathlete and a former news reporter of ABS-CBN News and Current Affairs shows like Umagang Kay Ganda, TV Patrol World and Bandila. He was also a contributor to Studio 23's Y Speak. Araullo is an Advocate for the United Nations High Commissioner for Refugees and environmental conservation, notably in marine ecosystems. He received a star on the Eastwood City Walk of Fame on November 21, 2017. Born to an activist family, Araullo spent most of his early childhood days with his parents battling it out during the Marcos dictatorship. This has exposed him to the political struggle in the country. During his early elementary school days, his parents exposed him to sports and the theater. As a result, he became part of several plays and has joined various competitions as a triathlete. He finished his elementary education at the Ateneo de Manila, and his high school education at the Philippine Science High School. Araullo graduated with a Bachelor of Science degree in Applied Physics from the University of the Philippines (Diliman Campus). There he became a member of the League of Filipino Students (LFS), as well as the chairperson of the Student Alliance for the Advancement of Democratic Rights - UP (STAND-UP). He also won as Councilor in the UP Diliman University Student Council elections of 2003, garnering the highest number of votes. He ran as the student council Chairperson the next year, but lost by a few hundred votes. During his childhood years, Atom Araullo was part of 5 and Up (produced by Probe Productions, Inc.). He also used to host the Studio 23 morning show Breakfast, The National Quiz Bee, and Probe Media Foundation Inc.'s Kabataan Xpress Basta Sports, Kalye: Mga Kwento Ng Lansangan with Anthony Taberna and Sol Aragones. 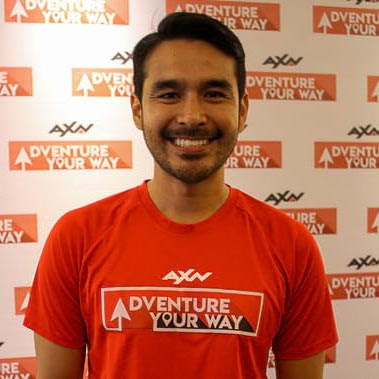 Araullo started his news-reporting career with GMA Network where he featured in the "ATOMic Sports" segment of 24 Oras. He moved to ABS-CBN in 2004. He hosted Red Alert, and Umagang Kay Ganda. Initially rumored, Araullo confirmed his resignation as a news reporter of ABS-CBN News and Current Affairs, specifically from his reportorial duties on TV Patrol, Bandila, and the ABS-CBN News Channel (ANC) in late August 2016. 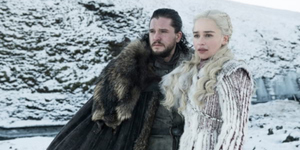 He explained that he wanted to explore opportunities and pursue other interest, debunking the rumor that he opted for resignation because of his strong opinions. On September 15, 2017, Araullo left ABS-CBN after over a decade when it was announced on Umagang Kay Ganda. On September 21, 2017, Araullo returned to GMA Network, to focus more on documentaries.